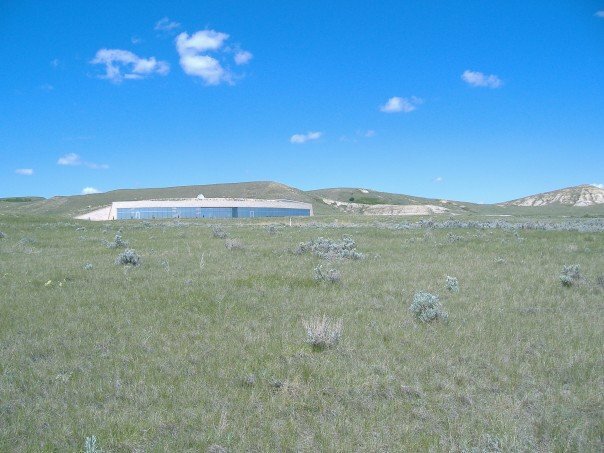 The T. rex Discovery Centre in Eastend, Saskatchewan (home of the Royal Saskatchewan Museum Fossil Research Station) is participating in the Pepsi Refresh Challenge, which could ultimately give them $100 000 for renewing their galleries. The centre is home to Scotty, perhaps the largest (or at least, most robust) Tyrannosaurus ever collected. 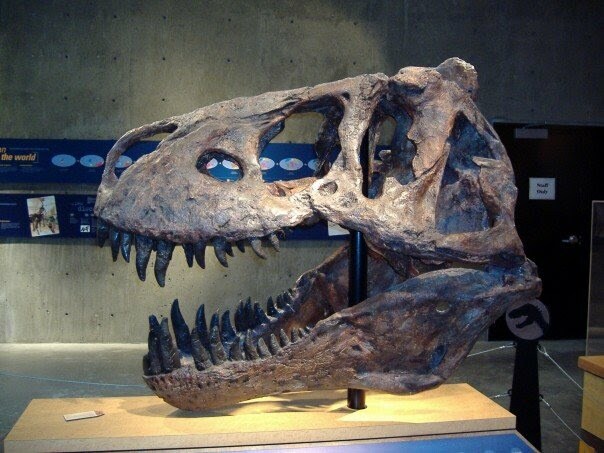 Although they have some excellent skulls and models on display, the T. rex Discovery Centre does not have any complete skeletons, and this is what they would like to purchase if they win the Pepsi Challenge. They are hoping to add a dromaeosaur and a Thescelosaurus to the galleries, to better represent the Saskatchewan dinosaur fauna. Please help them out by voting daily at the Pepsi Refresh Challenge website – you need to sign up, but you won’t be registered for Pepsi spam. The project with the most votes will receive the money. The T. rex Discovery Centre is built into the side of a hill, with beautiful big windows illuminating the gallery spaces. And where else, may I ask you, can you see the world’s largest coprolite? 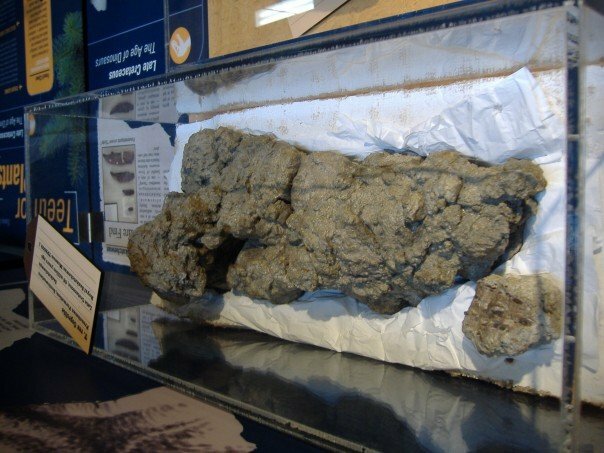 Yes indeed, this is a half metre long Tyrannosaurus poo – you can read the Nature paper describing it here. Vote for the project and throw Scotty a bone – they’re good folks over there. I voted for “Scotty”. Did you? Every vote counts!